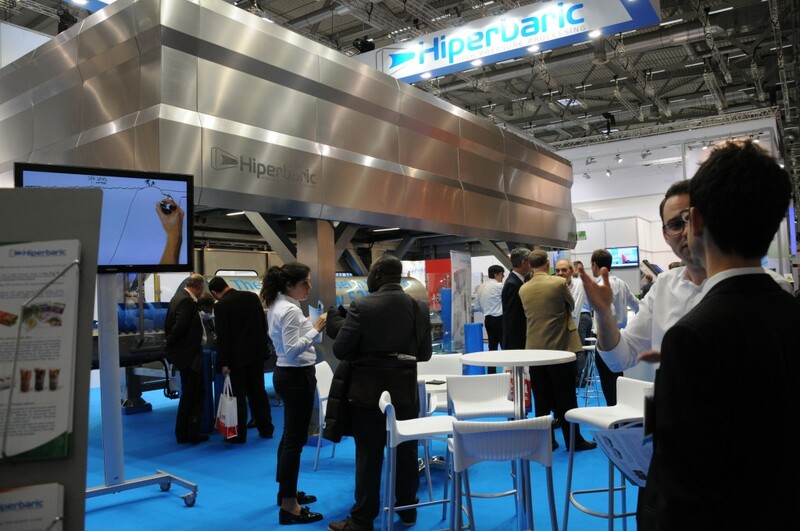 Hiperbaric estimates a turnover of €25m in sales only of its new High Pressure machine, and overcome the global turnover of €50m this year. 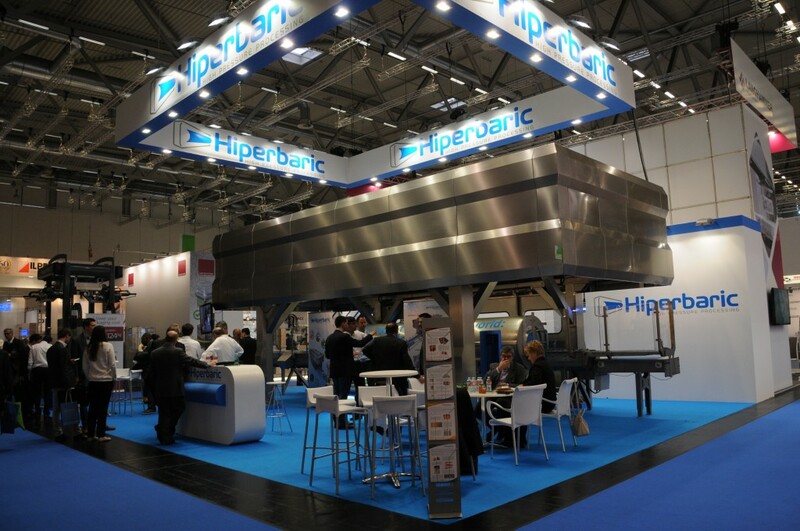 Hiperbaric, S.A. launched with success its new High Pressure Processing (HPP) model at the last Anuga Foodtec in Cologne, the biggest and most productive in the world. As a result of a hard investment in R+D, it is fast becoming the best seller of the company from Burgos (Spain), which expects to overpass € 50m turnover this year. “Overall, Anuga Foodtec has been a great event for us. We received over 200 qualified visitors to our stand. Usually a good show for us bring about 35-40 qualified visits per day. This year in Cologne demonstrates that the interest in the High Pressure Technology is still growing strong, because we have had more than 50 visits per day”, says Francisco Purroy, Technical Sales Director for Europe and Asia. The new launched industrial model, Hiperbaric 525, captured much of this attention. At its stand, Hiperbaric showed this machine, more than 18m long, with a vessel of 525 liter capacity and a productivity of 3,000kg or liters of packed product per hour, in its integrated configuration, which reduces the footprint and increases reliability and maintainability. “The next important date in the Hiperbaric schedule, of course, the Bta” he said. (Barcelona, 21-24 April). The High Pressure Technology is a post-packaging lethality intervention on the microbes that does not involve any thermal process. It is respectful with the ingredients in the food and the environment, and allows brand protection, food safety and shelf life extension of refrigerated natural products. I am working on product Development. need to know more about the equipment.